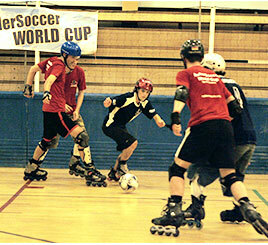 RollerSoccer is a fast and exciting international sport. 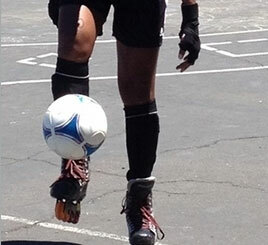 It’s football/soccer on skates, of course. Five-a-side on inline or traditional skates. 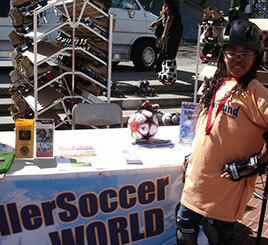 RollerSoccer is an equal opportunity sport. Men and women compete together. No designated goalie, no hands, no slide tackling.